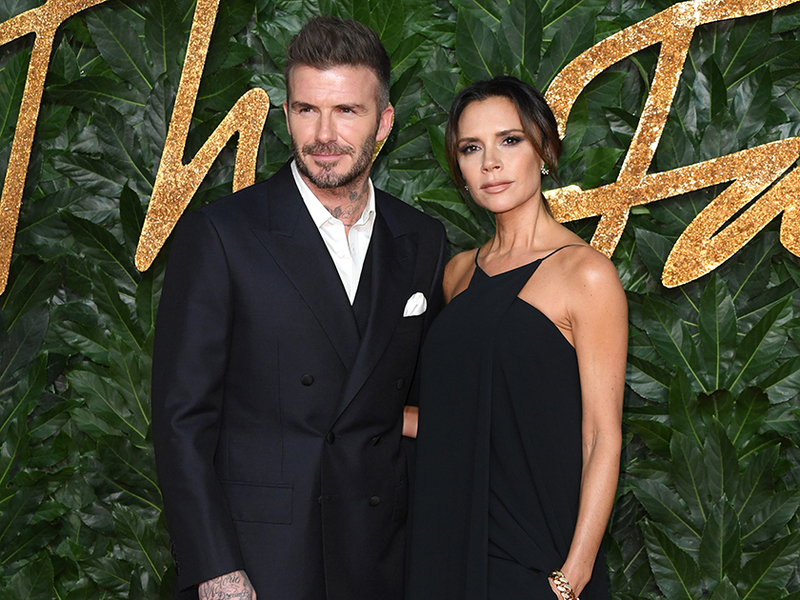 David Beckham has well and truly melted our hearts with his latest Instagram photo. 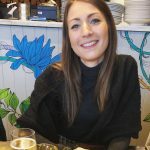 The dad-of-four will celebrate his 20th wedding anniversary with wife Victoria later this year and has shared a sweet post to commemorate it. 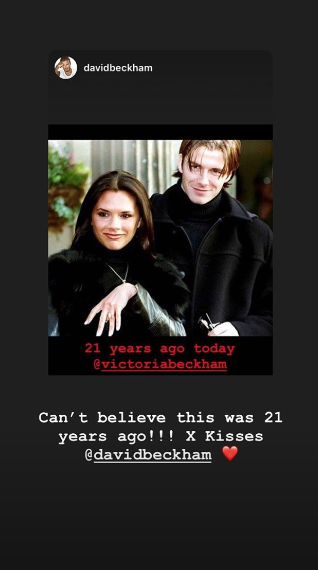 Taking to his Stories, the football star posted the ultimate throwback photo of Posh and Becks decked out in some incredible 90s gear. In the snap Vic, 44, can be seen with her classic bob wearing a black leather coat with a fluffy trim as she shows off a huge diamond ring. Meanwhile, David is rocking some blonde curtains as he stands behind his then-fiancé. ‘21 years ago today,’ the former England captain simply wrote next to the engagement photo. David and Victoria announced their engagement on 25 January, 1998, one year after meeting at a charity football match in Manchester. After welcoming first son Brooklyn in March 1999, the couple then tied the knot at Luttrellstown Castle near Dublin on 4 July – before going on to become the proud parents of Romeo, 16, Cruz, 11, and seven-year-old Harper. Earlier this week, the A-List pair stepped out on a double date with 19-year-old Brooklyn and his new model girlfriend, Hana Cross. Putting on a loved-up display, they held hands as they stepped out at Victoria’s Reebok event in New York. 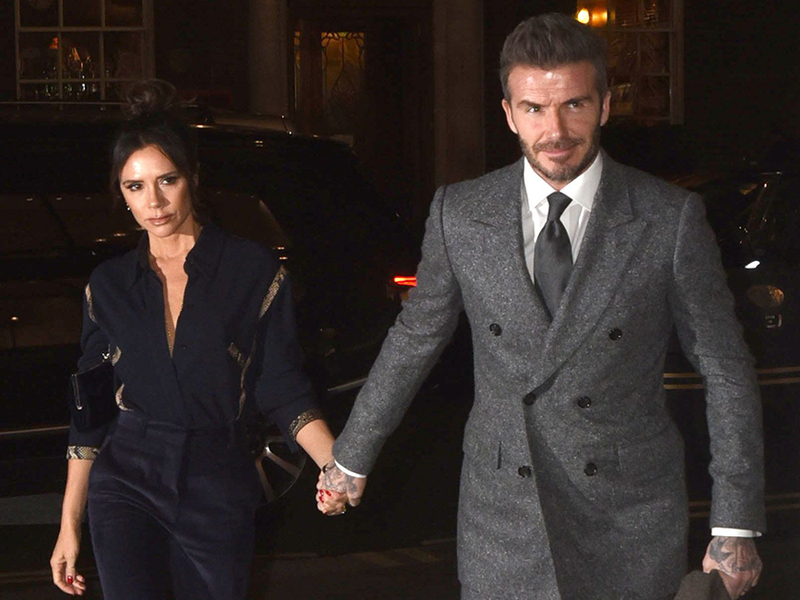 And despite being married for almost two decades, it looks like they’re just as loved-up as ever, with Vic recently gushing she found her ‘soulmate’. During an appearance on Good Morning America yesterday, the former Spice Girls star said: ‘I’m really lucky. With David I really found my soulmate. He’s a great husband, a fantastic dad.’ AW!